I don’t know about you, but I could use something simple and pretty right about now. 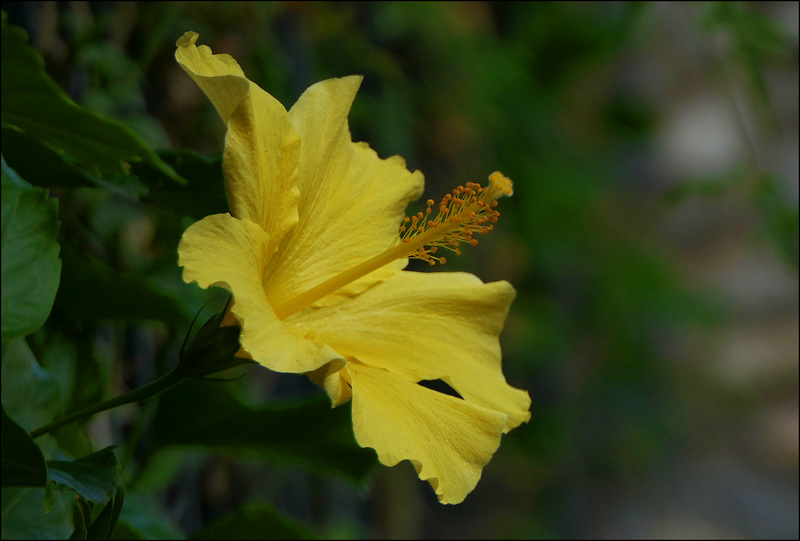 This hibiscus is growing in my neighbor’s yard, and I love the bright yellows. Much nicer and livelier than your typical red or pink hibiscus, I think.